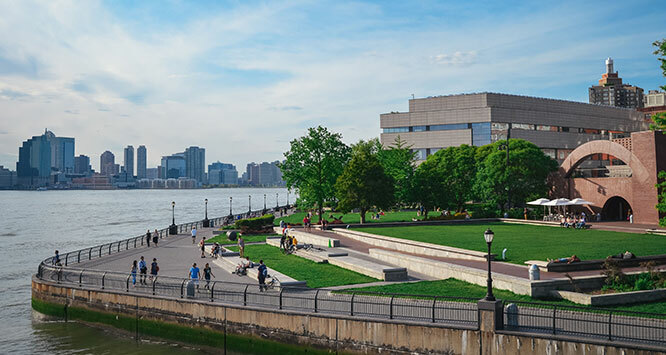 The Battery Park City Authority and Manhattan Community Board 1 will host a design discussion about the future of Wagner Park as part of the South BPC Resiliency Project. Intended to be a deeper dive on the Wagner Park portion of the project, this discussion follows the March 12 South BPC Resiliency Project Public Meeting, and will bring together CB1’s Battery Park City Committee and Environmental Protection Committee with BPCA and its design firm for the project, AECOM. Click here for the presentation from March 12, and here to watch full video from that session. A summary overview of Battery Park City’s fourinterrelated resiliency initiatives can be found here.